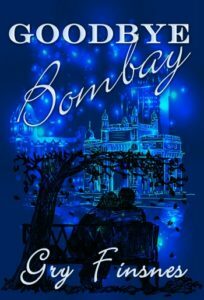 The following is a guest post by Gry Finsnes, author of Goodbye Bombay. I lived in India myself for four years from 1979 until 1983, in Bombay which is now called Mumbai. I had two children when I came and three when I went back to Europe with my husband, feeling both relieved and sad to leave the country. It had made such an impression on me that it was impossible to go through a day without speaking about it, how different it was and how I had tried to cope with the difficulties of settling in a country so far from everything I knew. Even now I keep telling stories about my life there, just like the main character Christine. In the end it was a natural thing to try to write a novel where I could include many of my own experiences. However, seeing that my own life there was with a normal and perhaps boring family, I invented a spicier story. I have never met anyone like Zarin, unfortunately, and Christine is not modelled on myself. But I did know a person whose life turned out much like the character Ruth! She ran away with her bearer up to the Himalayan hills, but after that I heard nothing about her. She may still be there for all I know. The clubs I mention, Breach Candy and the Willingdon Golf Club, were just like I have described them. So was the tumultuous city of Bombay, with the crazy traffic, the Cages, dhobi ghats (the place where clothes were washed by the dhobi wallahs) and the posh hotels of Taj Mahal and Oberoi. The climate was humid and warm in winter, hotter in spring and too hot and wet during the monsoon period. I remember the sights of Ambassador cars standing in water up to the roof and children splashing in the pools that had formed in the streets, squealing with happiness. It was in every way a city of incredible contrasts, but most of all I remember the warm and friendly people. There were not many foreigners living in India at this time as the country was a closed economy and it was hard to get a work permit. At one point we were just 13 Scandinavians living in Bombay, and the number included the children. This is my contribution to a better understanding of India; an insight into how life was for the expatriates of Bombay in 1980. I have been back recently and find that the city is more crowded with disastrous traffic problems and massive air pollution. But life has moved on, most people have a mobile phone and the cars are a lot better now. The houses of Mumbai are taller and the city has spread out. The Indian people are better educated than before, the middle class is growing. Call centres take care of much of the business from the western world. But in general Indians are still the same as before. More about the author and her work: Gry Finsnes’ Website. Gry Finsnes is Norwegian but has spent most of her life in other countries. For the time being she lives in Nice, France. She has a Masters in English Literature in her education and has taught English and French in High School. She has previously published three books, two thrillers in Swedish and a novel in English, (Vanished in Berlin, February 2015).